To preserve this historical building in a financially sustainable fashion while enhancing the community that embraces it. The Lodge was originally purchased on November 5, 1986 and operated by Robin and Laurie Spencer for 28 years. 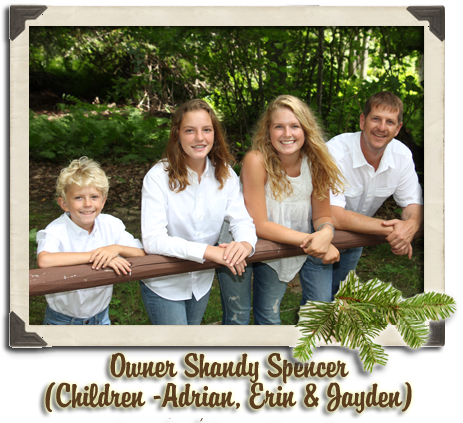 It is currently owned by their son, Shandy and managed by Shandy’s brother, Steven. The entire Spencer family as well as friends, and relatives have helped with the restoration project. Many people, including guests, have contributed to the cause by providing historical documents, pictures and stories. For their efforts, we are eternally grateful! The Presque Isle Lodge is a particularly intact example of the rustic resort properties constructed during the “golden age” of rustic architecture of the 1920s to 1940s in Michigan. 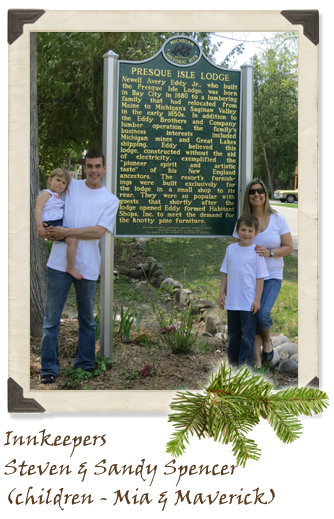 The Spencer’s are enjoying the restoration of the buildings and grounds for future generations. It is hoped that the atmosphere created will allow history to come alive for guests as well as providing many fond memories of time spent at the Presque Isle Lodge. The National Park Service, U.S. Department of the Interior, listed the Presque Isle Lodge in the National Register of Historic Places on February 1, 2008. 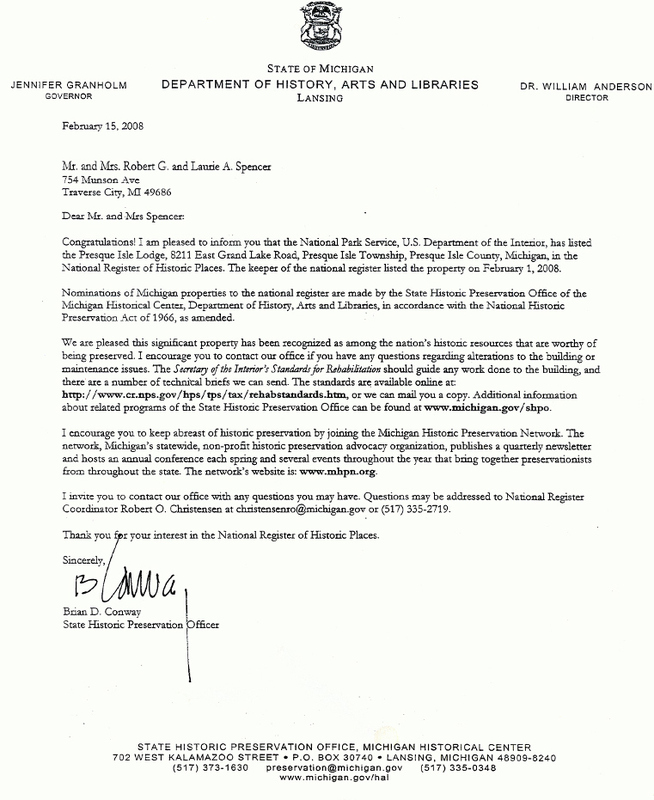 Preserving a building listed in the National Register of Historic Places that promotes Presque Isle and the surrounding communities.